According to mentalhealthscreening.org, “National Alcohol Screening Day (NASD) is an outreach, education, and screening initiative that raises awareness about harmful and dependent drinking behaviors and connects individuals who are at risk with treatment options.” Colleges, military installations, and community-based organizations across the country all participate providing the public access to the program annually. Drinking alone or keeping consumption of alcohol secret. Loss of interest in activities, hobbies, and friends. Gulping drinks, ordering multiple drinks or doubles, getting drunk intentionally to feel good, normal or to overcome shyness. 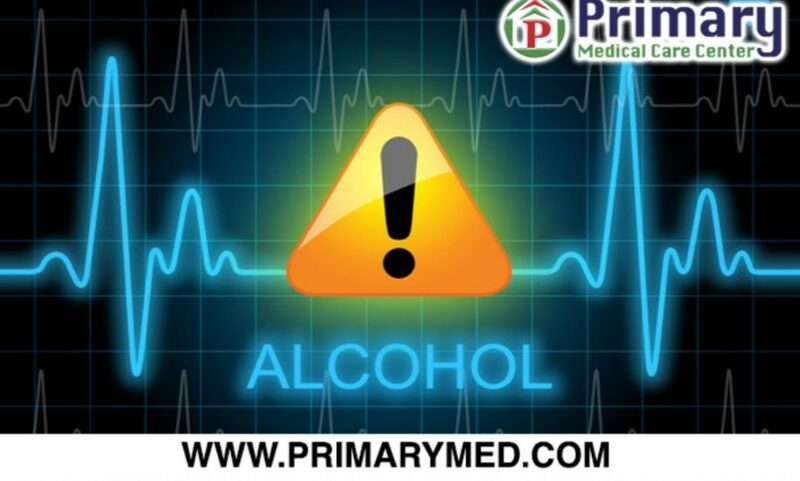 Increasing tolerance to alcohol to achieve the same “buzz” or high. Drinking rituals or being extremely annoyed if this ritual is disturbed or questioned by others. Problems developing with relationships, job, finances, or work. Denial that there is a problem with alcohol. Stashing alcohol for ready access. To take an anonymous screening, visit http://howdoyouscore.org. To discuss confidential treatment options with a healthcare provider, you may walk-in to any of our convenient Primary Medical Care Center community clinics, or you may schedule an appointment by visiting our website at www.primarymed.com, or call (305)751-1500 for our Miami-Dade clinic, or (954)289-0000 for our Broward clinic.